Concert Grand Compact DEMO allows users to try Concert Grand Compact with just a few keys. All the C’s and a limited range from G3 above middle C to C5 are available to try in the demo version. 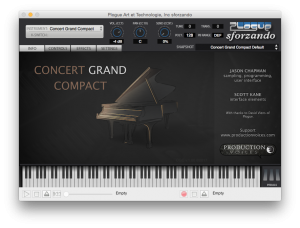 The controls and features are near identical to the full version except that keyup and sympathetic resonance has been disabled. 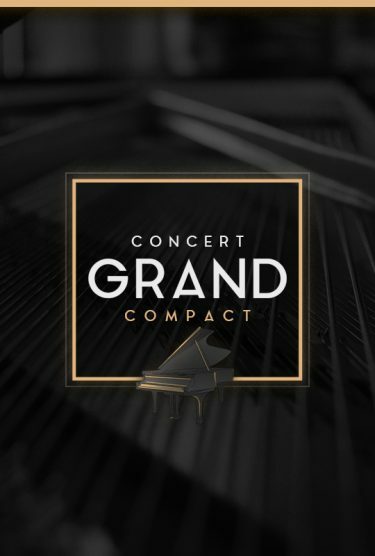 Test drive a 9′ Concert Grand Piano in your computer! Digital download delivery: Immediately after purchase, download links are provided. 700 MB download size (full version is much larger).